I have spent the last few days working retail for minimum wage. At the mall, no less. 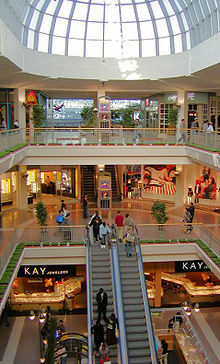 Yes, the mall. That place I avoid like the plague. That hallmark of American capitalism scented with the ubiquitous odor of Abercrombie meets Yankee Candle meets Cinnabon. I hate to shop, and my days of stalking the cute boy in the music store have long past. 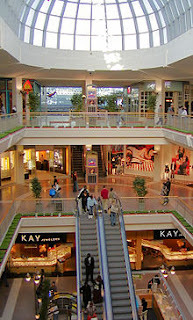 Besides, malls remind me of so much of what I deplore in society: shelves stuffed with useless merchandise simply to provide the illusion of prosperity and give us the opportunity to make pointless choices, teenagers wasting time when the world offers so much more than they realize they can attain, food designed to plunge us further into the pit of obesity. And yet...this has been a good week. Let's face it. A temporary job came when I needed the money. Until I figure out the magic formula for earning my living by my pen or land an interesting job that allows me to wrap my arms around my daughter when she skips down the school bus steps in the afternoon, the local economy offers me limited options. Besides, this retail job affords me time with a dear friend and coworker, and if it interrupts my usual exercise routine, at least the hours of loading boxes on a trailer keeps the muscles from atrophy. I have had ample opportunity while counting inventory and loading boxes to ponder the difference in my life now from when I last worked for someone else over a decade ago. I note with some sense of surprise how guilty I feel about my soft life. I often deplore the lack of sufficient hours in the day. And yet, I find time to exercise for an hour or two every day. I nap occasionally (although, since I wake up each morning at 5 a.m. to teach a class, I feel less guilty about that). I spend hours at the computer researching and writing a book that I will never sell. Occasionally, not often enough, I snag an hour or two to read a novel. I never watch TV. This week, when I come home from work wanting a chance to unwind and simply get off my feet for an hour, I hesitate before complaining to my husband, realizing more now than last month just how much he sacrifices his own time for the family. I remember how much I used to accomplish when I worked a demanding job and traveled frequently, yet still managed to teach early morning seminary and raise children and make dinner on a fairly regular basis. I fear my capacity to achieve has diminished. I remind myself that Brad played the supporting role when I lived a corporate life, making my full schedule a possibility. I think of the stress that full schedule caused and the peace that gradually set in when I traded the dayplanner for a more sedate life at home. I see the value in developing my creative side and providing an anchor for the family. Still, as I finish up my week as a mall rat, I tender a moment of gratitude for the reminder of the rare blessing it has been to raise my children and find myself over these past 13 years. I renew my appreciation for my husband. And I savor more than ever a "soft" life that may not last much longer. It really does give one a chance for reflection, doesn't it? & you accomplish much in your "soft" life, many important things. I appreciate this post. I am experiencing the same thoughts as I am working now as well. I started working for the county Elections Center last year, in timed to be queued for the 2012 elections. I was interested after taking a class on the US Constitution and wanting to see the voting process close up. Also I felt it was my duty to be involved. Going from deciding on a daily and hourly basis how I want to spend my time, to sitting doing repetitive tasks that I don't always see the end result, has prepared me to analyze the blessings I enjoy. You certainly worded my thoughts very skillfully.